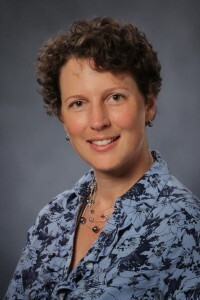 Stephanie Lanza, Ph.D., is Professor of Biobehavioral Health and Human Development at Pennsylvania State University, and Director of the Edna Bennett Pierce Prevention Research Center. Lanza’s background is in research methods, human development, and substance use and comorbid behaviors. She is the author (with Linda Collins) of Latent Class and Latent Transition Analysis: With Applications in the Social, Behavioral, and Health Sciences (Wiley, 2010), and her articles have appeared in methodological journals such as Structural Equation Modeling and Psychological Methods and applied journals including Development and Psychopathology and Prevention Science. Lanza leads the ongoing development of PROC LCA and PROC LTA, a suite of SAS procedures for fitting latent class and latent transition models. Her research interests include advances in finite mixture modeling, including extensions to predict distal outcomes and a framework for conducting causal inference in LCA, and the application of these methods in health and behavioral research. To visit Lanza’s Penn State faculty webpage, click here.